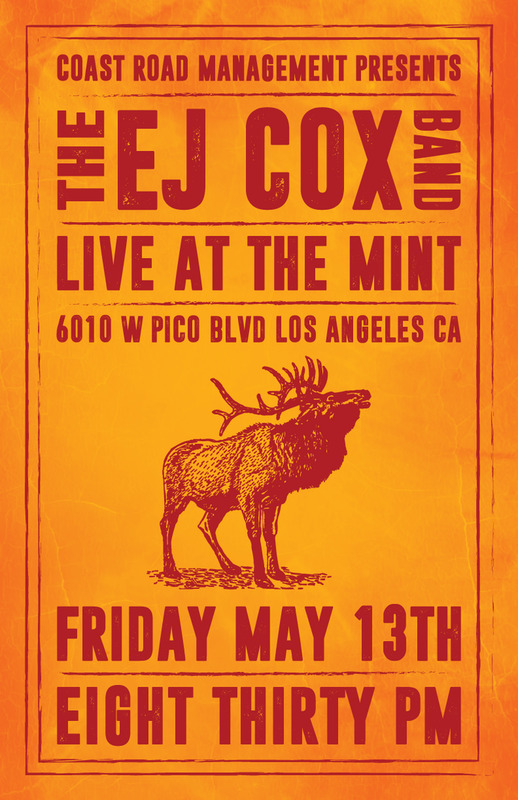 EJ Cox and his band will be performing at one of LA's most iconic venues, The Mint, on Friday May 13, 2016. Come check out EJ sing his new single, "Up 'Round Monterey", as well as other tunes off his debut album, "River Town". This one night of roots country, southern soul and Americana that you won't want to miss! !